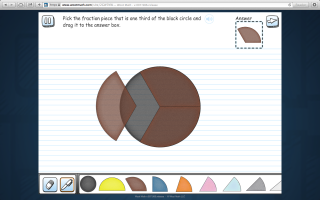 Pros: Concept-based, adaptive fraction tutorials and practice can be used for meaningful, differentiated instruction. Cons: Teachers will find tools (content maps, coordinating curriculum, the ability to assign a lesson) lacking, and kids may miss constructive feedback. Bottom Line: A top choice for stand-alone instruction or remediation on fractions.